A stock is rising on your one-minute chart, it starts to pull back but then stalls out. You buy expecting the uptrend to start again, but instead, the pullback continues and you find yourself in a losing position. The price stalls again; thankful for the pause in the selling you get out with a loss. You're upset you didn't wait for a better entry point...and aren't even paying attention as the price starts to rally again. You just missed the real entry point and a winning trade. Sound familiar? Every strategy should tell you where and when to get into a trade, but you need to wait for that moment of truth to arrive. The trader in this example not only lost on a trade they jumped into prematurely but then missed the real entry point...the entry point they would've traded had they been a bit more patient. Have you ever bought right before the price drops? Then, on the next setup (if you even see it through your frustration) you don't buy because you're disheartened or don't have enough time to place the new trade? You then watch in frustration and anger as the price takes off in the anticipated direction. Does this happen often? When this situation occurs traders often say "My timing is off" or that "I'm out of sync with the market." That's true, but a better way to think of it is "My patience is off." Impatient trades lead to unnecessary losses, additional stress and wasted emotional energy. These factors then cause you to miss valid signals that often occur shortly after you get out of a losing trade. If your expectations on price direction are often correct, but you're not usually in a trade when the price moves in that expected direction, "your patience is off." Most traders have a strategy they follow that tells them when and where to get into a trade. That strategy, if traded correctly, should yield a profit...otherwise, why are you using it? 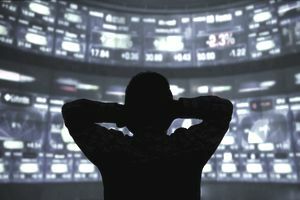 Sounds simple, but traders face a problem: when watching a fast-moving chart in real-time the mind gets tricked into thinking you should get into a trade before the trade setup has fully formed. You don't want to miss a trade, so you get in a bit early and end up with a loss (usually). Wait for the setup to fully form and trigger your trade (a trigger is a precise event that tells you NOW is the time to act). Be OK with missing a trade. If you're trying to profit from every price move, how is that working for you? Only take trades that give you a complete setup and trigger your trade. No trades occur unless the market triggers it. If you're following your strategy (and be honest with yourself...are you really?) and are still getting in a bit too early, have a brainstorming session on what you could do differently. For example, if the price is trending higher and starts to pull back, I wait for that pullback to pause before I even consider getting in. Once the price starts to move sideways (during the pullback) I watch for little clues that the price is starting to go higher again. If the sideways movement (consolidation) lasts for several bars then I watch for the price to move above the high for the consolidation to trigger my trade. If the price is wiggling around during the pullback I watch for slightly higher highs and higher lows in those tiny price moves (within the pullback). These micro-movements give evidence that the buying pressure could be building again. If the price has a tendency to move in the opposite direction right before it moves in the direction I expect, I wait for that "fake out" move to occur and then act. Until I have multiple pieces of evidence that indicate NOW is the time to get in, I don't trade. You don't need to catch every big price move to make a profit. Be patient; the market often takes longer to move than we anticipate. If we miss a move we miss it. By waiting for the valid setup and trade trigger you'll start catching more of those price moves you're anticipating, and not wasting your money on impatient losing trades. If your timing seems off, wait for your setup to form and to "trigger." If you're still getting into trades too early, adjust the parameters of your strategy so you see a few more price bars (tick bars, one-minute bars, or five-minute bars, etc.). This forces you to be more patient, keeping you out of some of those losing impatient trades, and getting you into more profitable trades. As a bonus, you'll have less stress and frustration in your trading.